On an otherwise slow sports weekend in early August (no NBA, no real NFL or college football and really only the PGA Championship of major import), we were still treated with three incredible moments. The first: Saturday night in Oakland and A’s rookie centerfielder Ramon Laureano makes the most incredible double play of the season. We’re hardly the first to say it, but that’s a 321-foot (107 yards) toss that never made the first baseman move an inch. It must have had launch codes. Not to forget that the catch itself was incredible. Haven’t seen a throw like that since Yoenes Cespedes roamed left for the A’s. Then last night Wayne Rooney, who was supposedly old and washed up, made one of the great individual soccer plays you’ll ever see. Note that D.C. United had pulled the keeper so he had to make this tackle to save the game. Like Laureano, that was just the first half of a two-part incredible feat. And do pay attention to where we were in stoppage time. There were only 40 seconds or so remaining. Finally, we turned on the Nats-Cubs game after a 13-hour day at the gig last night to this scene: Cubbies trail the Nats 3-0 in the bottom of the ninth inning. Two outs, bases loaded. Max Scherzer has pitched an absolute gem—seven innings, no runs, 11 K’s—for the Nats but his night is over. In steps Cubs rookie David Bote to pinch-hit in the ninth spot. In 75 previous at-bats, Bote has two home runs. And we’ve all watched enough baseball, plus seen how the Nats’ season is going, to know how this ends. Bote sends a 2-2 pitch to dead center, over the wall. A nationally televised prime-time walk-off grand slam. Cubs win! Cubs win! (we need Will Ferrell as Harry Caray to call the final pitch of this game for posterity). Note: ESPN Stats reports this is the Cubs’ second walk-off grand slam of the season after only having two such plays in the entire history of the franchise prior to 2018. We get it: What if some “evildoer,” or worse, a radicalized Muslim (!) had stolen that Horizon Air prop jet that seats 76 passengers (officially, a Bombardier Q400) and not 29 year-old Richard Russell, who from the sound of his tone with the air-traffic controller, was strictly out for a joy ride? …thought of him as a restless but gentle soul, a self-described “broken guy” who just yearned to have a moment of freedom, to break out of the controlled monotony most of us face. He yearned to really live. At least that’s how we read it. We’re glad no one else was hurt; there was nothing in his voice to indicate that he had any intention of harming anyone. Like those globe-pedaling cyclists we profiled last week, Russell died at the age of 29 in a crash. But man, that loop-di-loop he did. How many commercial pilots have yearned to do that after takeoff? p.s. Washington state now is the all-time leader for wild aviation tales: D.B. Cooper and Richard Russell (and, yes, we know Cooper’s flight originated out of Portland but it landed at SeaTac before taking off again). We’d never heard of Forest Man, a documentary that was released last summer, until one of our favorite Twitter follows, Vala Afshar, tweeted about it last week. In short: Jadav Payeng, a Mishing tribesman in India, was concerned about the deforestation taking place around him. In 1979 he noticed a few dozen snakes had perished on Mashuli Island, where he’d grown up, when they’d washed ashore and had no place to hide from the sun. So the next day he planted a tree. And the next day he did so again. And Payeng kept doing that, planting one tree per day, for 37 years (note to my friends in Brooklyn: someone really needs to do this in Bushwick). Payeng, through his daily act of conservationalism, created a forest preserve that over the years attracted has attracted a herd of elephants, plus rhinos, tigers and deer. What I love about this story is it reminds me that one person can absolutely make a big difference. Payeng created paradise simply by repeating a selfless ritual day after day. There’s a metaphorical lesson in that for us all. There’s also the lesson of how one man can make a tremendous difference for good. If there is a heaven, Payeng is a first-ballot entry. He honestly deserves a Nobel Peace Prize, we think. Last week former ESPN reporter Brett McMurphy broke a story that rendered a B1G East coach on administrative leave and a week later a trio of current ESPN reporters respond with, “Hold my beer.” Now Maryland coach D.J. 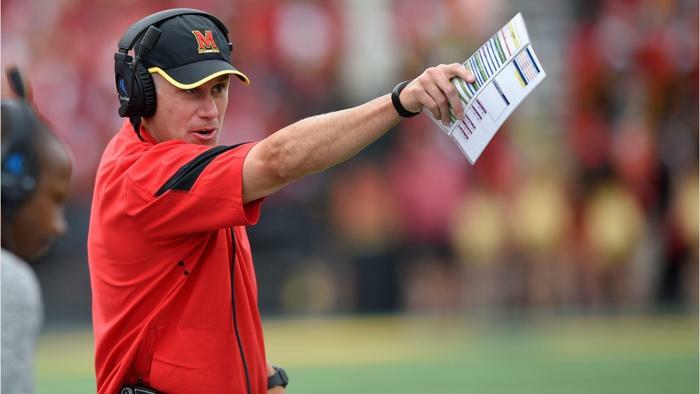 Durkin is on administrative leave—our own Stewart Mandel tweeted “Legends and Administrative Leavers”— and we think, unlike Urban, that Durkin’s turtle is cooked. First, there’s an actual death (Jordan McNair) involved. Second, it’s exactly the type of bullying culture university presidents want no part of. Durkin’s curriculum vitae includes stops at Notre Dame (under Ty Willingham, who was to busy rushing to his tee times to bully players) and Stanford and Notre Dame under Jim Harbaugh (the poultry-hating coach with a travel bug). We’d be curious to see how his coaching style was influenced and by whom. The paws are much larger than the original, no? It’s too late to take it to last weekend’s white supremacist rallies, but surely there will be more in your future! It’s Trumpy Bear, and the ad we saw on CNBC last week says it can be yours for just $19.95 (in true Trumpian fashion, there’s a quickly spoken throwaway line that informs you it’s TWO payments of $19.95, so really it’s $39.90). We’ll give them credit. The idea is genius. 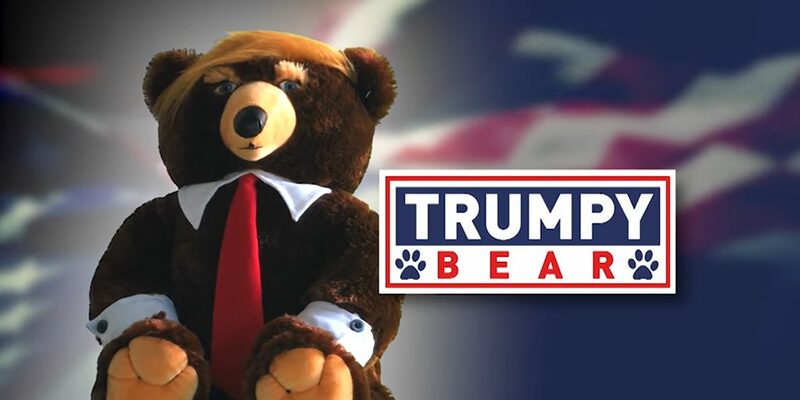 If you’re part of the MAGA crowd, you may want a Trumpy Bear for those long nights when thoughts of a female president or Robert Mueller succeeding give you chills. If you are on the other side of the fence (or, wall, but Mexico’s gonna pay for it), you may purchase it for the ironic value. Or as a piñata. Ed. Note: Our birthday is coming up. Please do NOT get us this. Kthxbye. What song made you reach for the radio dial—to be clear, not the “Turn It Up!” volume knob but the “Change that crap!” Tuner knob—at warp speed like no other in the Seventies? We’ll go with this 1975 tune by Brazilian one-(*)hit wonder Morris Albert. The soft-rock classic peaked at No. 6 and induced countless bouts of spontaneous vomiting. An East Coast Bias spectacular! But hear us out: The Mess are throwing Jacob deGrom (or as my autocorrect tries, often successfully, to inform me, “Jacob Legroom”) and his 1.77 ERA versus Luis Severino and his 15 wins. We’ve got the MLB ERA leader versus a man tied for the MLB Wins lead (Max Scherzer would be the MLB wins leader today were it not for Bote’s grand slam last night). p.s. Rain is in the forecast….again. Come on, ‘Leaving on a Jet Plane’ was the better laugh-snort title! Also, I saw something this morning that said he was “suicidal”. Is that not true? I watched the Pan Pacs (Pan Pacific Swimming Championships) for the previous 4 days on TV. Couple observations & questions. The broadcast on the Olympic Channel was totally separate from NBC’s taped/edited coverage; the former was LIVE in the mornings & then repeated almost in its entirely every afternoon or night. FASCINATING differences! There was only one commenter (an Aussie guy who commentates on many of the OC programs) & while the guy TRIED to be objective, he could not contain his exuberance when an Aussie pulled out a win (or just got on the podium). Also, I saw something I have NEVER seen on an international televised sports event IN MY LIFE – the commentator mixed up the relay participants for the final 2 Relays (Mixed Medley) on Sunday! I ‘d thought he just messed up on the Americans, but it was for ALL the teams in both relays! He kept calling out the various swimmers by the names of the swimmers in the PREVIOUS 2 relays (the women’s & men’s 4 X 100 Free Relays). The dumbest part is ALL he had to do was LOOK AT THE SCREEN to see the actual names when each team walked out. This is what happens I guess when the TV channel cheaps out & doesn’t pay for the commentator to actually BE on site! One of the few guys he got right was American Nathan Adrian who just happened to anchor BOTH of those men’s relays. 🙂 Anyhoo, it was bizarre to say the least. My fave part was when he kept calling Caeleb Dressel by the name of “Zach Apple”, after he had fawned over Dressel’s swimming ability the past 4 days. And speaking of the Men’s 4 x 100 Free Relay – the Americans won Gold in a VERY exciting race (Nathan saved the win), were awarded the medals & then were DISQUALIFIED over night as apparently, the 2nd & 3rd American guys were in the “wrong order”. I did not even know that was a thing! What possible difference would it make? It’s not like they substituted a ‘ringer’ onto the team. The other weird thing is that the USA Swimming championships were held just 2 WEEKS before this competition AND the American team did not get to Tokyo from CA until Sunday night (the competition started Thursday). Hello, jetlag! Was this due to a money thing, trying to save a few bucks & let the athletes suffer? Team USA still won handily but apparently not as much as in the total beat-downs that usually happen at this event. No wonder! I also was AMAZED at the female Japanese swimmers who were on the podium quite a few times. While the male Japanese swimmers have done well internationally for decades, the females have barely registered (for example, at last year’s World Championships, only one female Japanese swimmer won a medal (not Gold). I guess the country started pouring money into various Olympic sports the minute they won the 2020 Games (as most host countries do) & it’s already paying dividends. OR jetlag is Team USA’s “kryptonite”. I challenge any reader of this blog’s comments section to pledge that they read all three paragraphs of Susie B’s swimming commentary. But I always love getting a comment from you, Susie B. About Univ of MD’s tragedy & now “scandal” – it’s funny you mention that university Presidents want no part of a “bullying culture” since its UM’s CARPETBAGGER President who is ultimately responsible for this mess. HE SOLD THE SOUL OF THE SCHOOL (pulled UM out of the ACC for the Big “10”) for MONEY. MD’s football team has been basically nothing more than roadkill for the Ohio States, Michigans, & Penn States since. I imagine a few of the big money boosters finally got fed up a few years ago & insisted on a program that could “compete”. Everyone would then look the other way at what that would “take” as long as ‘wins’ would show up on the scoreboard. Is MD unique? Just the opposite. The so-called “culture” of football was high-jacked by the screamers/bullies/’Masters of the Universe’ types a long time ago. It’s the rare Div 1 program that does NOT include this mentality. But you make a good point on Maryland going to B1G. I’ve said this for more than a decade and written about it and will re-state it again here. Northeast FBS schools need to re-form their own conference. Member schools: Syracuse, Boston College, Rutgers, Temple, Penn State, U Conn, Pitt, Maryland, U Mass, W. Virginia, Army, Navy. There, done. 12 schools. It’s so OBVIOUS it’s painful.